Optimization of the Compensation Cycle. Executives are typically short on time to take good care of their personal financial affairs. Credit Suisse has developed a dedicated approach to advise executives on several relevant topics. 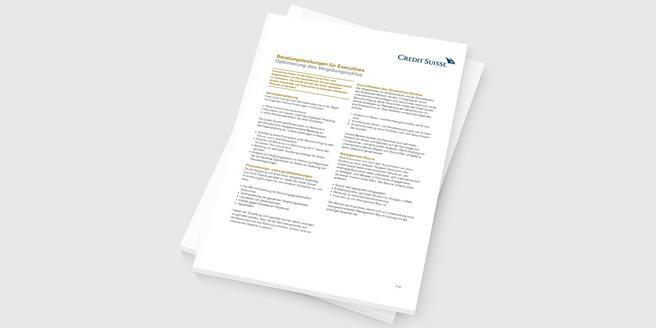 Factsheet “Advisory Services for Executives"
Learn more about the topic.